The new Broken Sword sequel may be without publisher as Virgin and THQ are no longer on board, but that hasn't stopped its makers looking to self-publish the game through Kickstarter. Revolution Studios is hoping that this new method of funding will mean it can release the latest instalment of Broken Sword on all manner of platforms – including PC, Mac, Apple iPhone/iPad, Android & Linux formats. If successful, the studio has confirmed that there will also be console versions of the game. 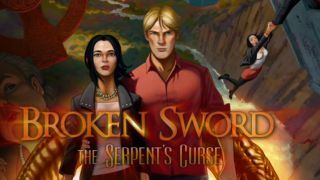 "For the first time in our history, we will be funding an original adventure game: Broken Sword - the Serpent's Curse," explained Revolution. "This will give us full creative freedom, and let us work with you. We promise to keep you up to date with all aspects of development and we will value your support." Its Kickstarter campaign goes on to note: "Development of the game is going well – we hope that you like what you see. "Kickstarter funding will allow us to proceed at a faster rate, and ensure the game achieves its ambitious design. Without this funding we will risk having to cut back features and delay the game's release." To entice fans to part with their money, there are a number of incentives to sign up. You can pledge anything from $15 to $10,000 – with the top lot giving you a ticket to the wrap party, a tour of the studios, some original storyboards and other goodies. We can't help but think that if Revolution Studios are successful, many more games will go down the crowd-funding route.